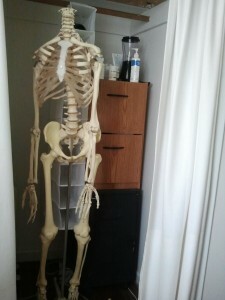 I think everyone has a skeleton in their closets. So it’s time I show mine. Please do not be alarmed, he lost his head and his posture is terrible. 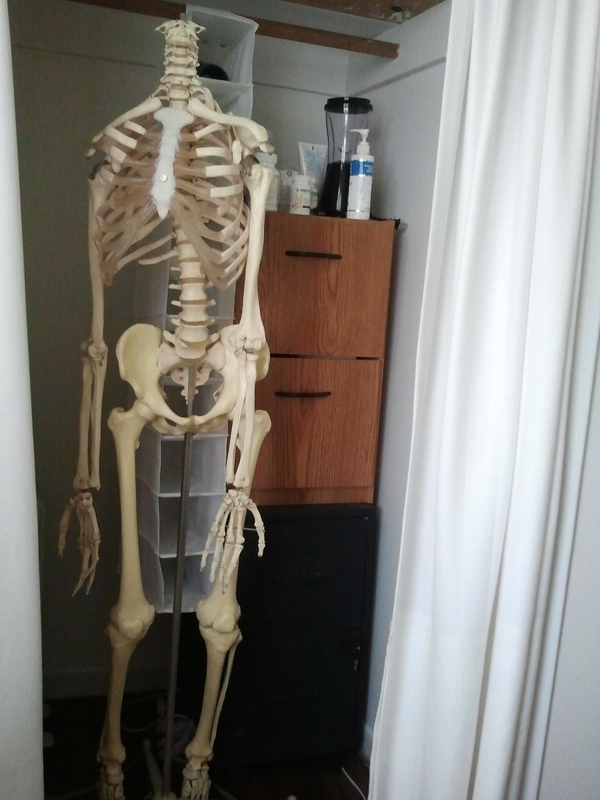 But he is a very lovely skeleton and a good friend of mine. He is very shy so he hides in my clinic closet. Once in a while he’d come out during a treatment to show what might be wrong with my patients bones and joints. If that happens during your treatment, please do not be alarmed. He is very helpful. That’s it. I showed mine, show me yours.